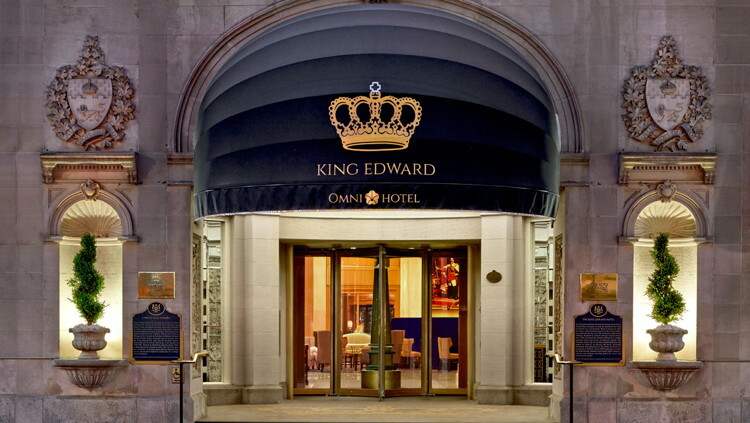 Omni Hotels & Resorts today announced that it has fully acquired The Omni King Edward Hotel, TorontoÂ’s first and iconic luxury hotel. Omni Hotels & Resorts today announced that it has fully acquired The Omni King Edward Hotel, Toronto’s first and iconic luxury hotel. Omni Hotels & Resorts has been managing and operating the hotel since August 1, 2013. With this transaction, the company will take on the ownership, operations and management of the iconic property. The Grande Dame of iconic, luxury hotels in Toronto, The Omni King Edward Hotel recently underwent a $40 million renovation to restore the property as one of North America’s first “palace” hotels. The renovation, designed to feature modern comfort in combination with the hotel’s original state of old-world charm and elegance, included all new guest rooms, modernized bathrooms, a new fitness center and an update of the grand meeting spaces. Long admired as one of Toronto’s most beloved landmarks, The Omni King Edward Hotel is located in the financial district within the heart of the city. When The King Edward initially opened in 1903, it set the standard for luxury hotels in Canada and was the first hotel of its kind in Toronto. Designed by Chicago architect Henry Ives Cobb and Toronto architect E.J. Lennox for developer George Gooderham's Toronto Hotel Company, it quickly became the first choice for Toronto’s elite, as well as convention goers, political figures, and business travelers. Over the years it has hosted celebrities such as Mark Twain, Ernest Hemingway, Elvis Presley, The Beatles, Liz Taylor and Richard Burton. The original design of The King Edward Hotel included 400 rooms and 300 baths. In 1921 an 18-story tower with an additional 530 rooms was added to the original eight-story structure. Over its 112-year history, the hotel changed ownership and underwent further renovations in the 1970s. Omni Hotels & Resorts took over partial ownership of the hotel in August 2013, with renovations starting immediately, and completed by summer 2015. Omni Hotels & Resorts is now the proud, full owner.